Although Bayer has already paid more than $1.8 billion to settle Yasmin and Yaz lawsuits, the company reports that approximately 5,000 lawsuits are still pending in the court system. The company’s 2014 second-quarter financial report notes that Bayer has reached settlement agreements with more than 17,000 plaintiffs who claimed the drug maker failed to provide adequate warnings on the potentially dangerous side effects of Yaz, including blood clots and deep vein thrombosis. In addition to the roughly 5,000 unresolved lawsuits, the company is also faced with lawsuits regarding Ocella and Gianvi ─ generic versions of the birth control pill manufactured by Bayer and distributed by other drug makers. The financial report notes that approximately 2,400 of the unresolved cases involve claims the company may settle on a case-by-case basis, after a thorough review of medical records is conducted. 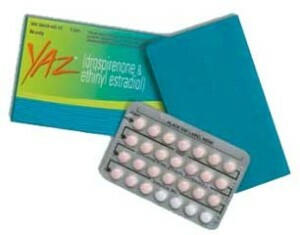 Yaz and Yasmin are oral contraceptives that contain fourth-generation progestin drospirenone, which has been linked to a significantly higher risk of developing blood clots than many older birth control pills. More than 11,500 Yaz and Yasmin lawsuits have been consolidated under multidistrict litigation in federal court. MDL 2100 is currently pending in the Southern District of Illinois, under the direction of Chief Justice David R. Herndon. All complaints cite similar allegations regarding the serious risks and complications associated with the oral contraceptives. Plaintiffs feel that Bayer failed to adequately warn both patients and the medical community about the debilitating injuries that can be caused by the drug, including heart attacks, deep vein thrombosis, strokes, pulmonary embolism and gallbladder disease. Yaz multidistrict litigation is intended to conserve resources and cut costs for both sides during pretrial proceedings and discovery. Ultimately, if the parties can’t reach an agreement, the remaining unsettled cases may be sent back to the U.S. District courts they were originally filed in and prepared for individual trial dates. Litigation has been stayed since January 2012, when the first bellwether trial dates were cancelled due to talks of pending Yaz settlement discussions. The FDA issued a safety announcement on April 10, 2012 noting the completion of a recent study of the risk of blood clots in women taking drospirenone-containing birth control pills. The Agency concluded that this type of oral contraceptive may be linked to a higher risk of blood clots than other progestin-containing pills. As a result, the FDA ordered drug makers to add information to the labels of Yaz, Yasmin, Safyral and Beyaz regarding the studies.